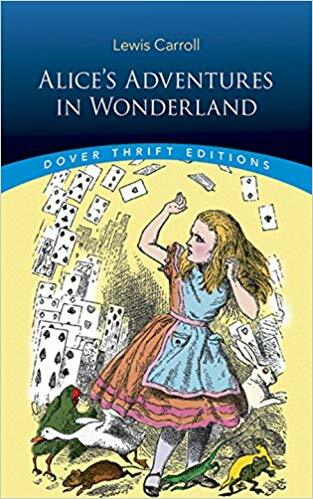 One of the English language’s most popular and frequently quoted books, Alice’s Adventures in Wonderland was the creation of Charles Lutwidge Dodgson (1832–1898), a distinguished scholar and mathematician who wrote under the pseudonym of Lewis Carroll. Intended for young readers but enjoyed equally by adults, the fantastic tale transformed children’s literature, liberating it from didactic constraints. The story is deeply but gently satiric, enlivened with an imaginative plot and brilliant use of nonsense. As Alice explores a bizarre underground world, she encounters a cast of strange characters and fanciful beasts: the White Rabbit, March Hare, and Mad Hatter; the sleepy Dormouse and grinning Cheshire Cat; the Mock Turtle, the dreadful Queen of Hearts, and a host of other extraordinary personalities. This edition features Sir John Tenniel’s complete original illustrations, bringing to life a beloved classic that has delighted readers and listeners since its first publication in 1865. I read Alice’s Adventure in Wonderland for a paper for school. I had never read this book until now and actually found it enjoyable. Sure, it is a kid’s book, but I learned a lot from it because I studied about it in British Literature class. Everyone knows about this classic though, and most have probably read it too. I myself do think that the plot feels a little choppy, but then again, a timeless classic so who am I to say. I will say though that it is different than the movie.